WOLF decking offers products with natural colors and deep wood-grain patterns that make outdoor living warm and inviting. WOLF's exotic Tropical Hardwood Collection and nature-inspired Prairie Collection combine the warm look of premium hardwoods with the unsurpassed weatherability of PVC and ASA polymers to produce a synthetic deck board of exception beauty. WOLF's Classic Collection offers surprisingly affordable, low-maintenance PVC deck boards in two popular colors. Limited Lifetime Warranty against blistering, peeling, flaking, cracking, splitting, cupping, rotting, or structural defects from termites or fungal decay. WOLF deck boards are specially formulated to very closely resemble real wood decking. As a result, there may be slight differences in color and grain pattern from board to board. 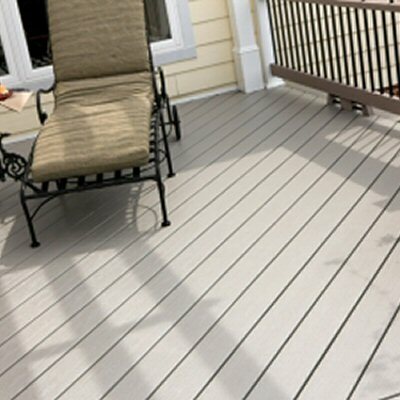 This adds to the uniqueness of WOLF Decking, making our products appear like real wood decking.